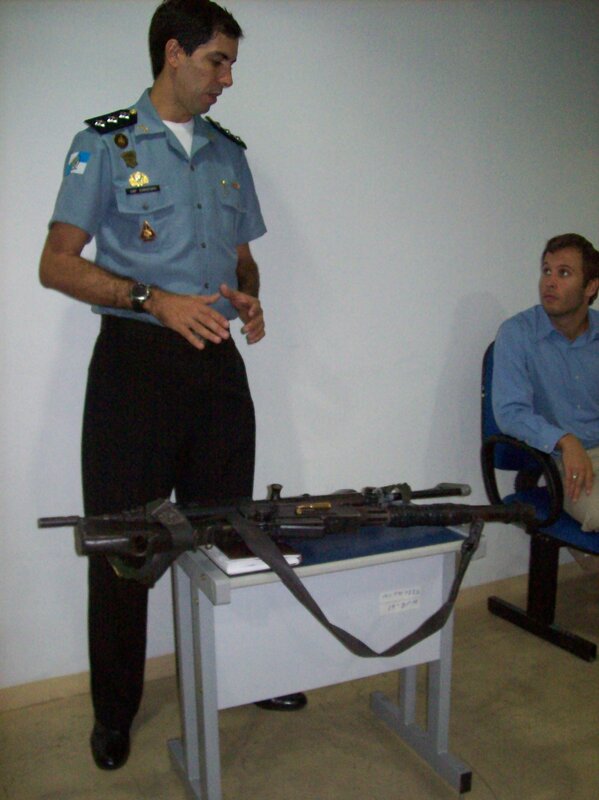 In the morning the whole team went to meet a representative of the military police at their headquarters in Copacabana. Here they had a very interesting discussion about the problems associated with drug trafficking in the city’s slums and also the problems they encounter in the tourist areas of Rio. After the discussion they saw the team responsible for monitoring CCTV cameras at work and were then treated by the captain to coffee, biscuits and croissants. 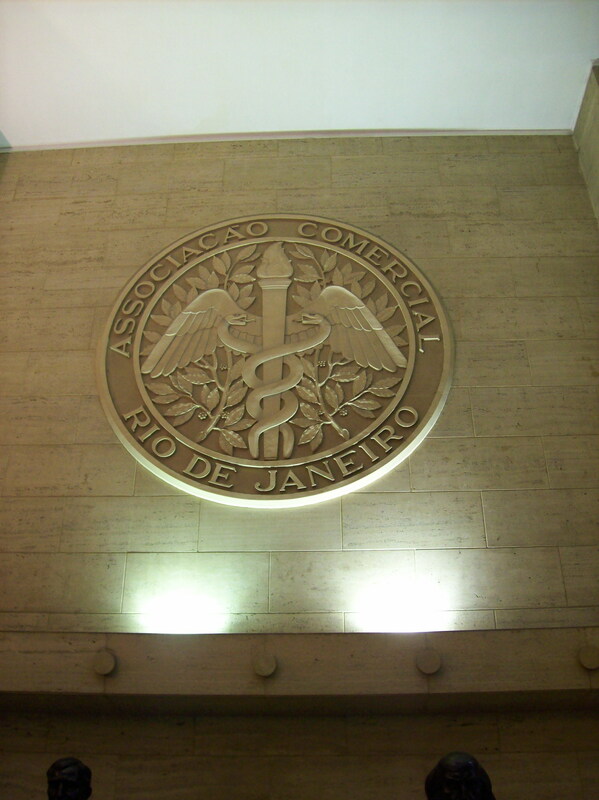 After this meeting the team took the metro across town to the Rio chamber of commerce where they presented to Gloria Rotary Club on the 15th floor. 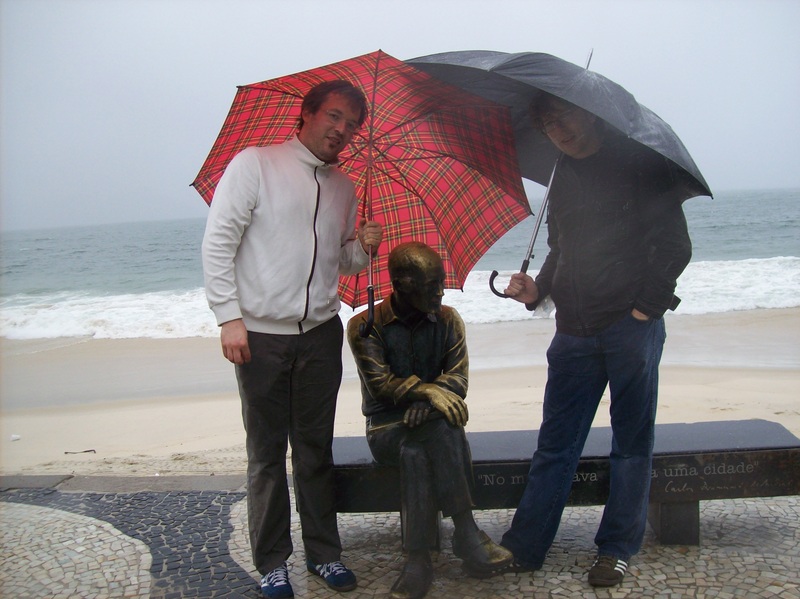 Chris and Georg’ hosts Milton and Lia were present along with their nephew Tiago. Milton is the club president. After the presentation Chris, Georg and Katie walked around the city centre with Tiago and Ana. 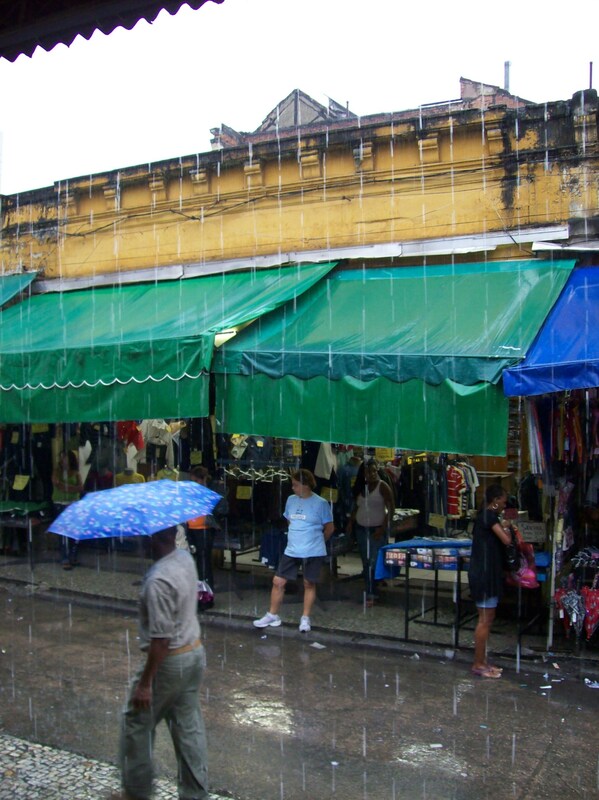 The fantastic weather broke briefly with a torrential downpour. The team sheltered in a colourful local market. To round off the day the team, with Ana and Paolo met up in Bar Luiz for a few Chopps ( a local draught beer). Bar Luiz is a German bar that, before the second world war, was called Adolf’s! After some protests at the time the name was changed. 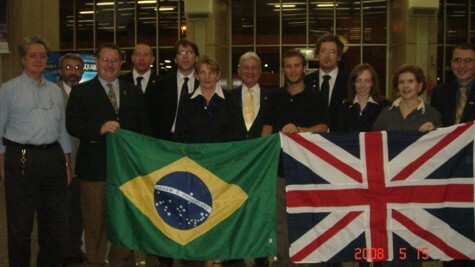 The initial visit made to the civil police who police the area of Copacabana was made by Elaine and Adam. They were warmly received at Copacabana police station. They were shown around the station and witnessed an arrest taking place whilst there. They viewed the cell area and interview rooms, this station being a holding station short-term. 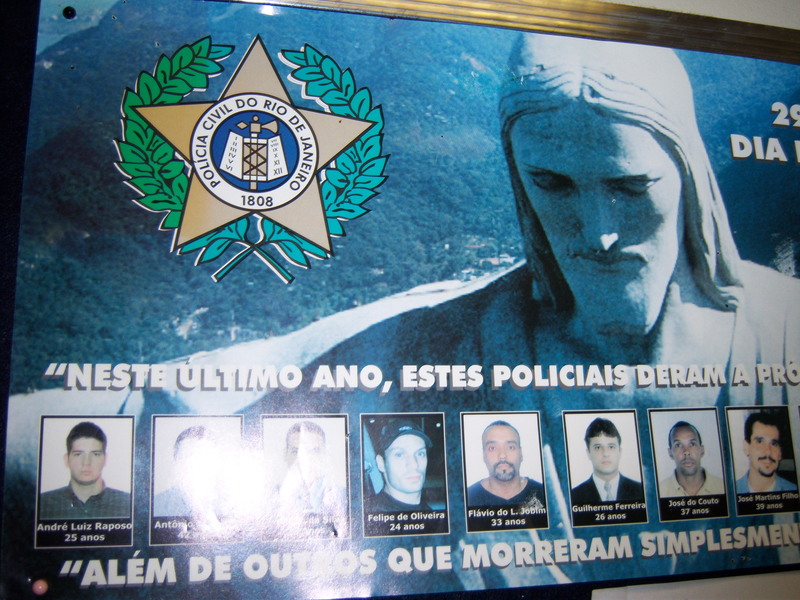 A poster on display in the station shows officers from this force killed on duty within the last twelve months. 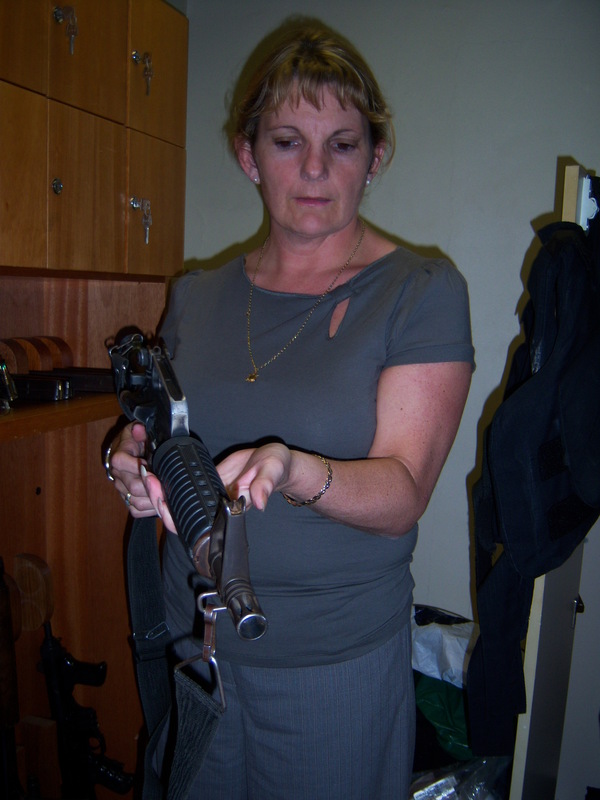 They were also shown the firearms used by the officers in this force and were allowed to handle them in order to guage their weight. Officers retain personal guns on and off duty. 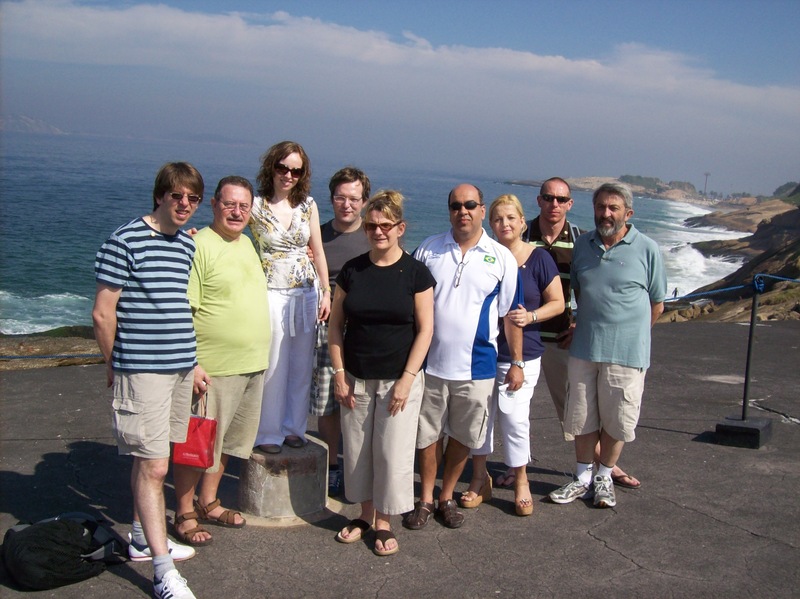 On Thursday the team were taken on a tour of the Copacabana Fortress. 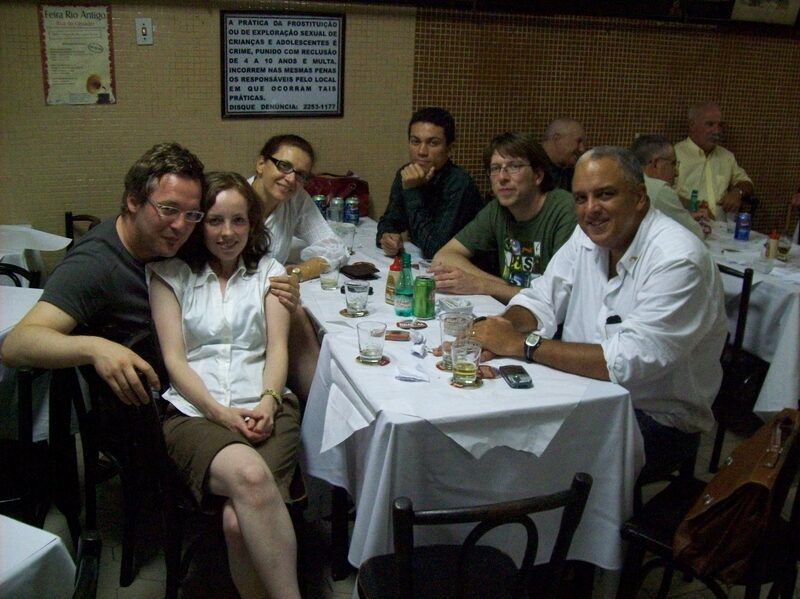 In the evening the group went along with their hosts to the Rio Scenario, one of the most famous bars in Rio. During the daytime it is a popular antiques shop and during the night 7 days a week 365 days a year, there are two live acts playing samba. Surrounded by attractive dancers, the group couldn’t resist attempting to learn some samba steps and got an important step closer to the Brazilian way of life. They left, este lugar maraviosa, (this wonderful place), with a big smile on their faces, safe in the knowledge that there would be more of this to come. 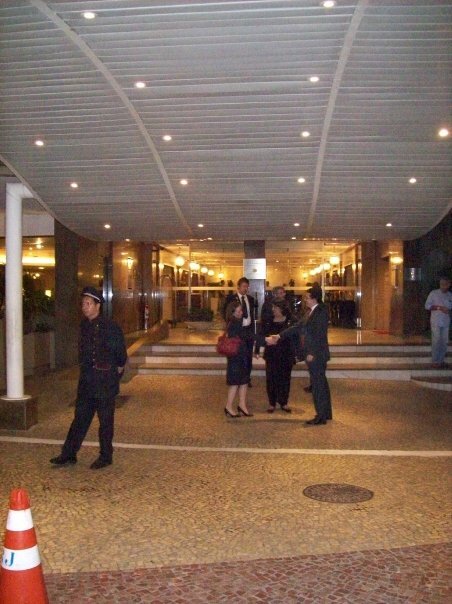 On Monday evening the team were asked to present at the prestigious Hotel Intercontinental on the Copacabana sea front. 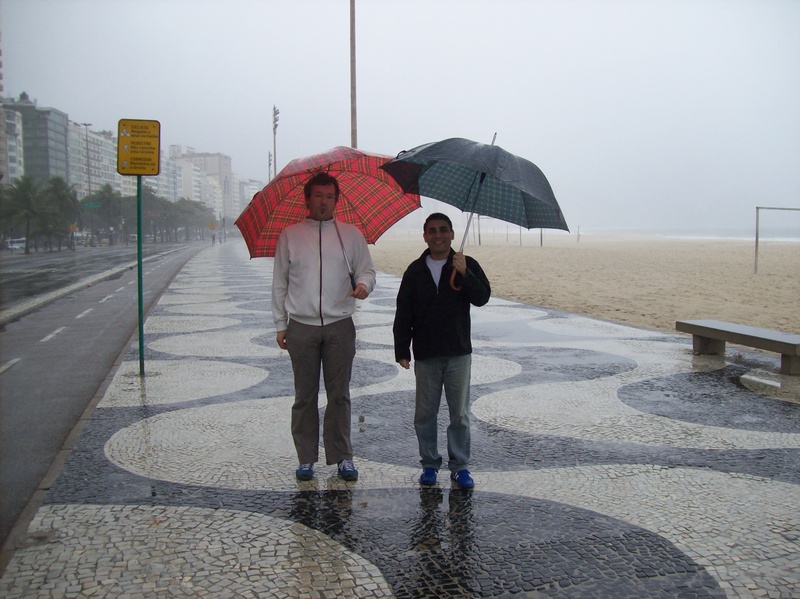 After a mammoth flight yesterday and a warm reception from the Brazilian Rotary guys last night we stayed in the Royalty Copacabana hotel last night. 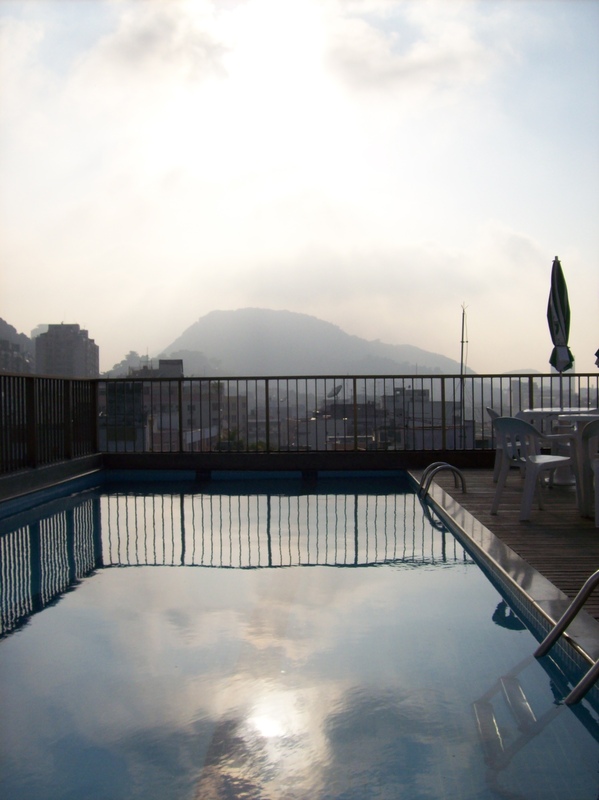 Two minutes from the beach, rooftop pool and spectacular views of the Rio skyline. What more could you ask for?